Leading a team of three experienced and talented Analysts, Tony concentrates on intraday FX markets analysis in G10 FX looking at market impactors and the future direction of currency pairs. 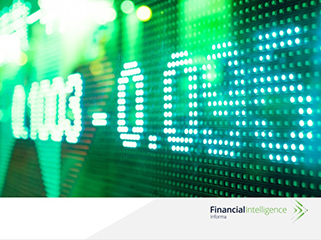 He has a host of respected contacts and can provide exclusive, timely banks’ views on all things FX. Having studied law at Manchester University, Tony worked as a successful interbank FX dealer and options trader at ANZ Investment Bank and Sakura Bank for five years. He joined us in 2004 and manages the market-leading G10 FX fundamentals product, as well as increasingly focusing on the Yuan and Chinese markets. Tony ensures IGM retains its position as the number one independent firm for intraday FX analysis, inspiring market debate. He runs IGM’s long-term FX forecasting, participating in and regularly winning FX Week and Reuters polls. He also runs the successful trade ideas product, correctly predicting Gbp’s slide post Brexit and making big profits in a number of short Gbp plays. Tony participates in Thomson Reuters polls on other topics such as central bank outlooks and growth and inflation forecasts, appears regularly on DukascopyTV and has been quoted on the BBC, Guardian and Telegraph websites. A decent start to the year as IGM win latest one and three-month G10 currency forecast tables this week in FX Week's FX polls of 30-plus leading firms. IGM won the Thomson Reuters Awards for Forecasting EUR/USD in 2016, whilst finishing a clear second overall in the FX Majors polls that over 100 of the biggest banks, financial firms contribute to. We think it's worth reminding ourselves the thinking behind these estimates and whether anything much changes into 2017.